The Apple-FBI fight may just be the opening salvo in a broader war over encryption, as technology companies continue to lock up their users’ messages, photos and other data to shield them from thieves and spies — and, incidentally, criminal investigators. WhatsApp, the globally popular messaging system owned by Facebook, has already run into trouble on this front in Brazil. WhatsApp encrypts all user messages in “end to end” fashion, meaning no one but the sender and recipient can read them. Brazilian authorities arrested a Facebook executive this month after the company said it couldn’t unscramble encrypted messages sought by police. U.S. officials are debating how to enforce a similar wiretap order for WhatsApp communications in a U.S. criminal case, the New York Times reported. WhatsApp started as a way to exchange written messages over the Internet, but it has added services like photo-sharing and voice calling, while gradually building encryption into all those formats. Spokesmen for WhatsApp and the Justice Department declined comment on the Times report, which said the wiretap order had been sealed to keep details secret. The Brazilian case is pending, although the Facebook executive was released from jail after a day. 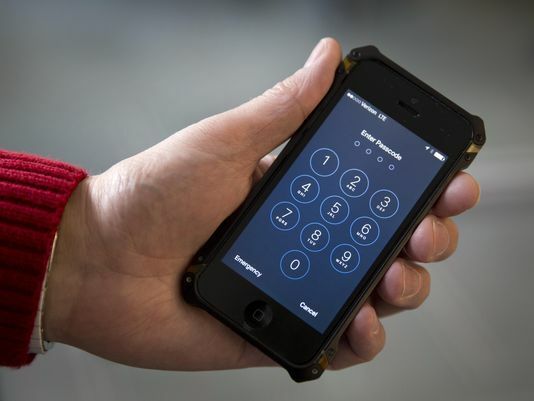 For now, U.S. authorities and the tech industry are watching for the outcome of Apple’s legal battle with the FBI, which wants to force the company to help unlock an encrypted iPhone used by one of the San Bernardino mass shooters. But as more companies explore adding encryption, further confrontations are likely. “I think we can say, without a doubt, there’s going to be more pressure on app-makers now,” said Nate Cardozo, staff attorney at the Electronic Frontier Foundation. Cardozo said he’s aware of other recent cases in which U.S. authorities have approached individual companies (he wouldn’t name them) that use encryption and warned them that criminals or terrorists are using their services. Cardozo said authorities have urged those companies to redesign their apps or provide other technical solutions that would let agents read the encrypted messages. Tech companies say they don’t want to interfere with legitimate criminal investigations or national security matters. Instead, they argue they’re concerned about hacking, privacy invasion and violations of civil rights. While law enforcement authorities have chafed at tech companies’ use of encryption, national security officials have warned against weakening encryption. “We’re foursquare behind strong data security and encryption,” Defense Secretary Ash Carter told a tech audience this month.